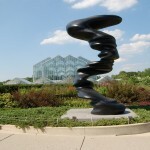 Frederik Meijer Gardens and Sculpture Park has been one of the Grand Rapids’ area’s most popular destination for lovers of sculpture, music, exotic plants, family fun and more since 1995. 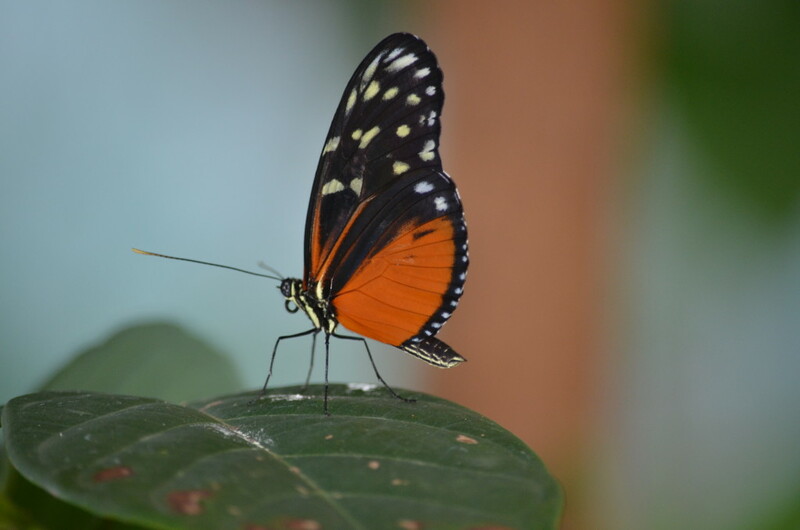 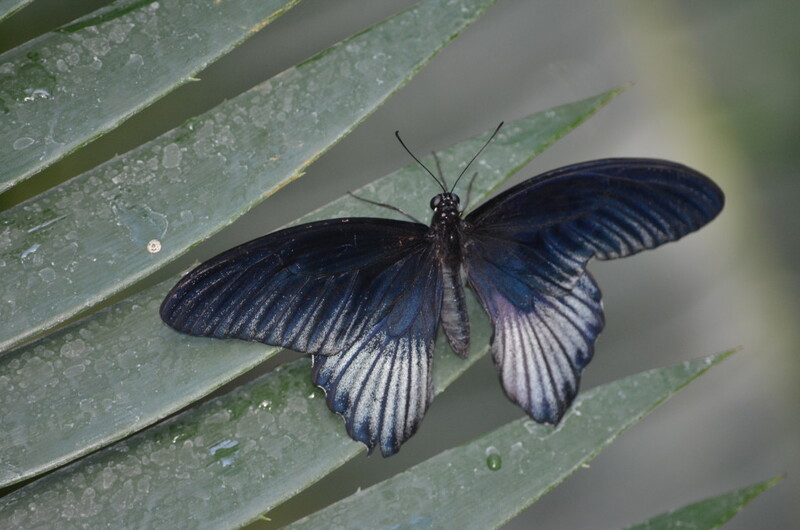 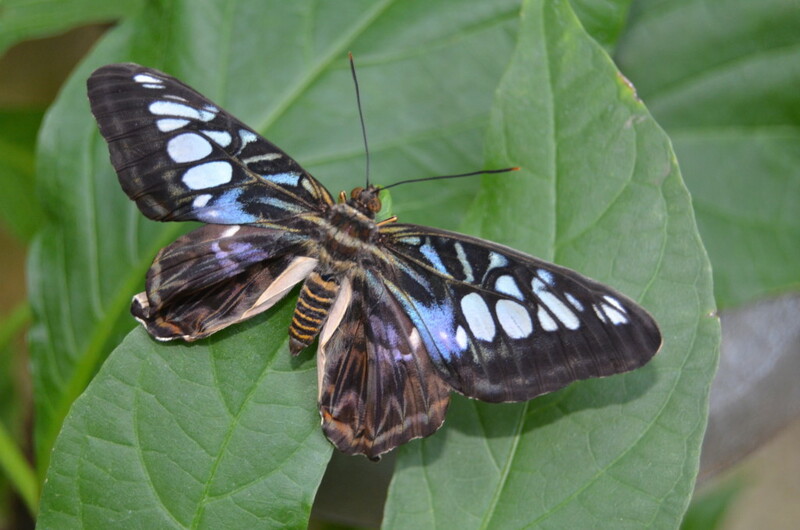 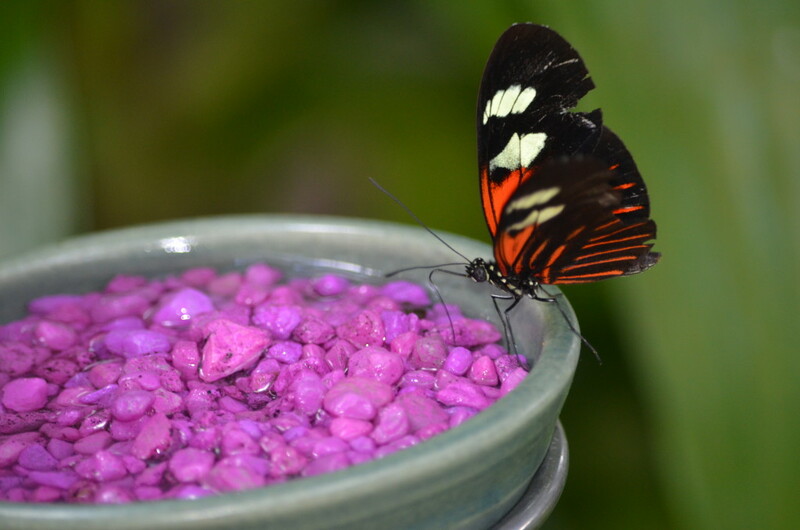 One of their most-loved annual events is the Fred & Dorothy Fichter “Butterflies Are Blooming,” the largest temporary tropical butterfly exhibit in the nation. 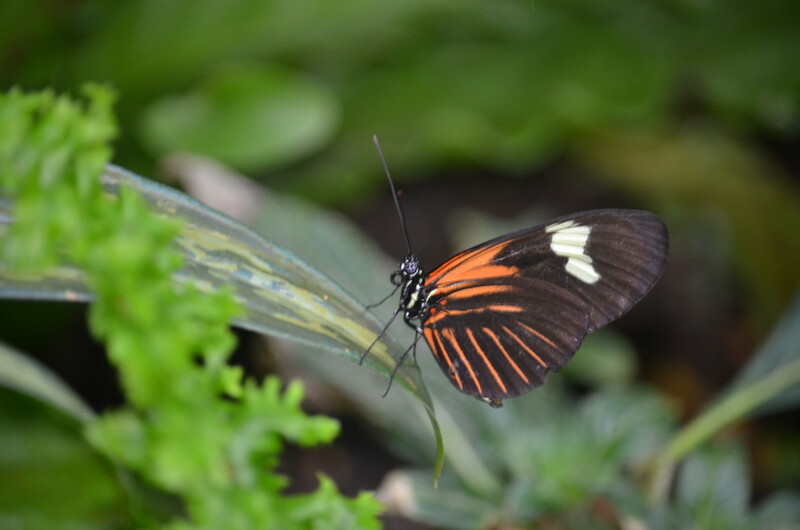 Running from the beginning of March thru the end of April, Butterflies are Blooming features 7,000 tropical butterflies (50 different species) that turn the Lena Meijer Conservatory into a colorful paradise. 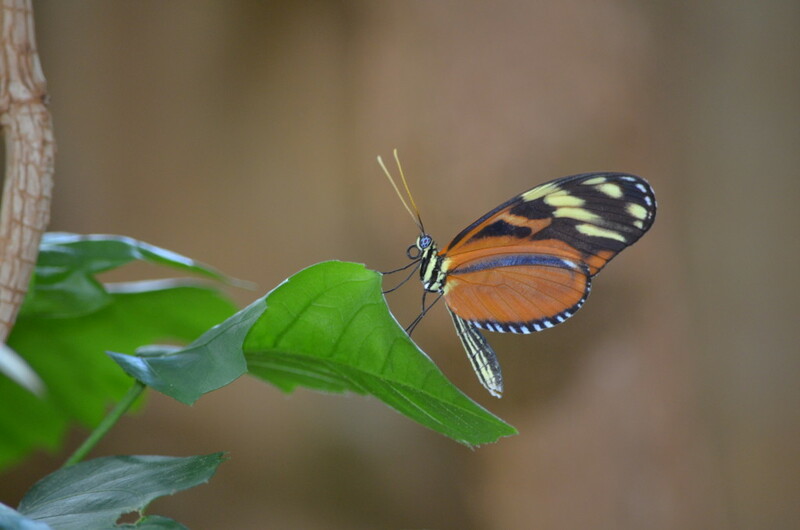 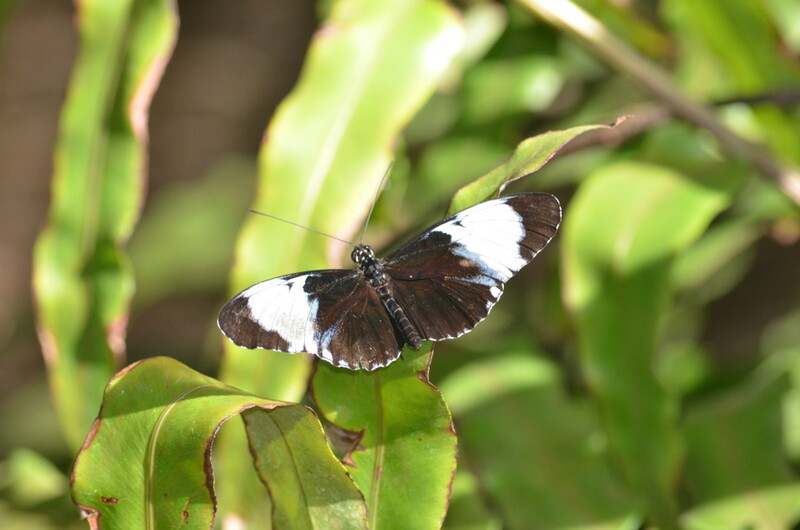 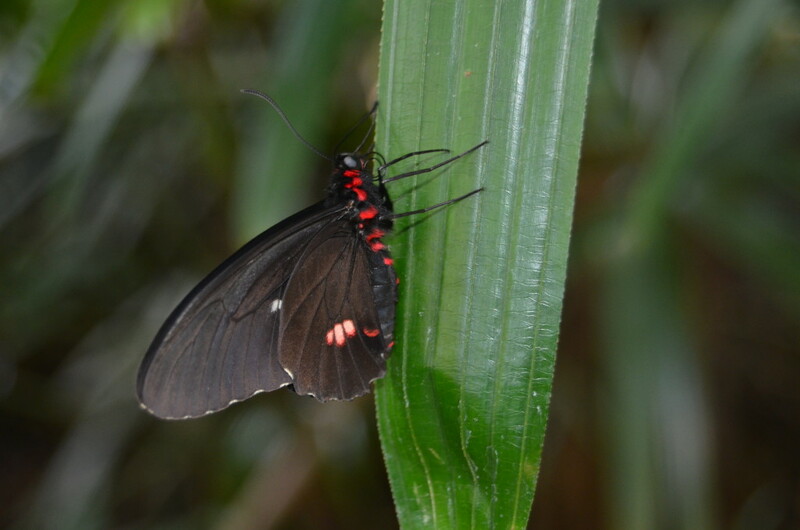 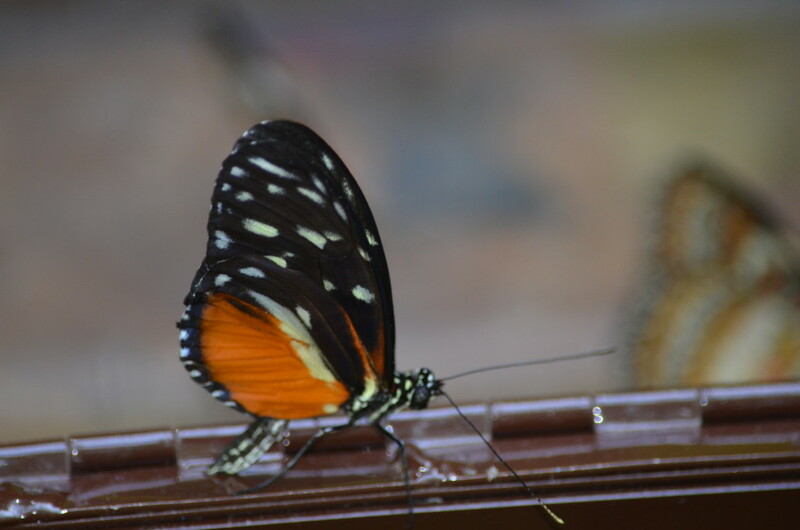 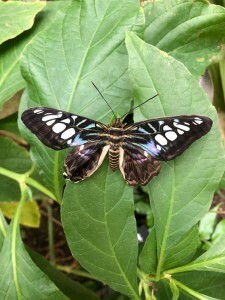 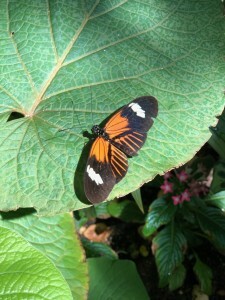 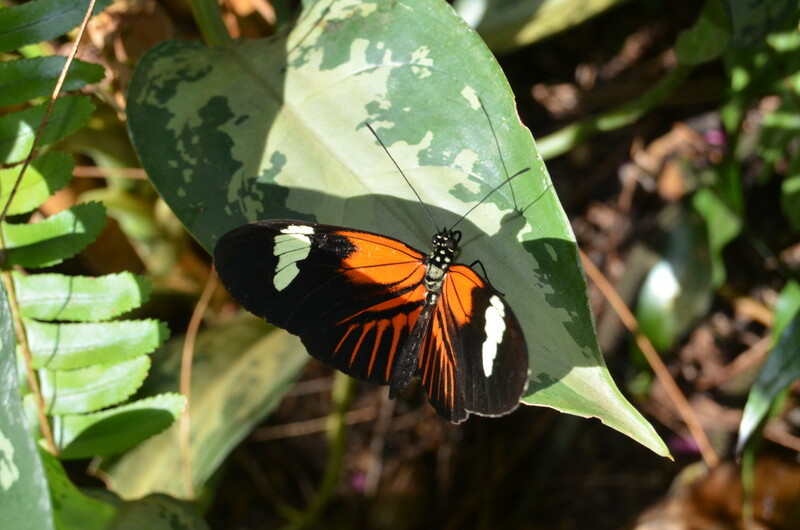 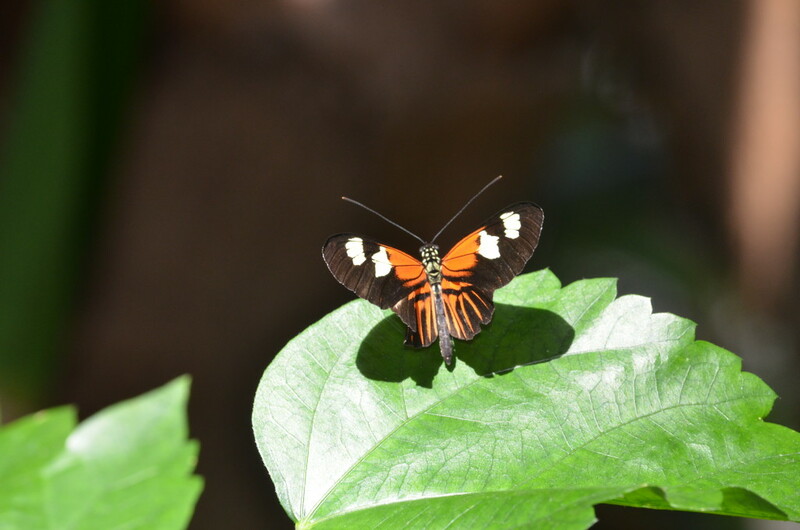 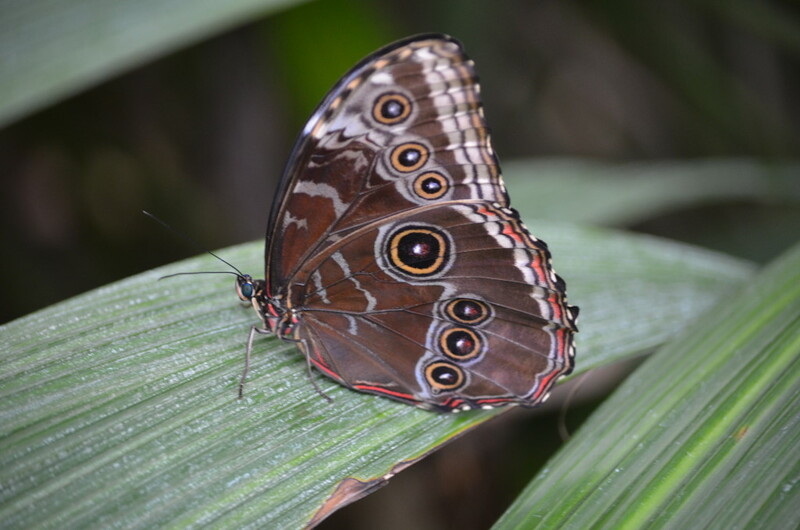 The butterflies in the exhibit come from Asia, Africa, Central America, and South America. 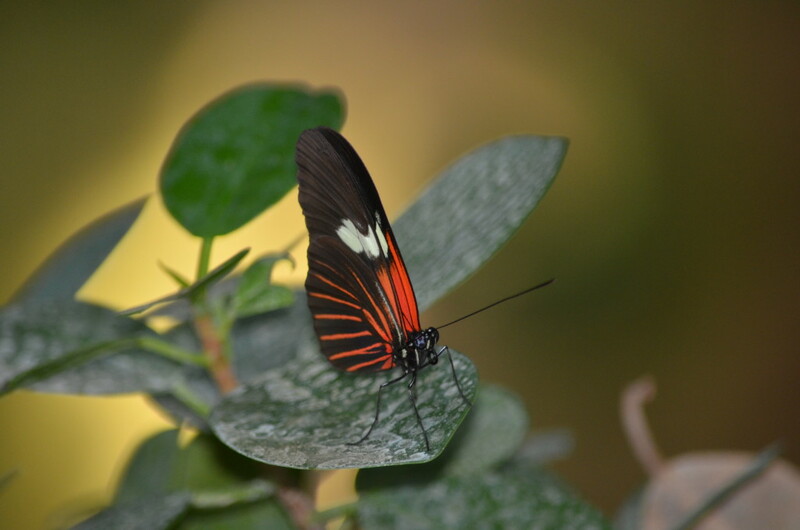 Species include the Postman, Leopard Lacewing, Blue Clipper, Common Morpho, Mocker Swallowtail, Atlas Moth, Tiger Longwing, and more. 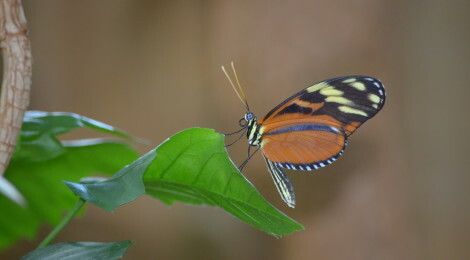 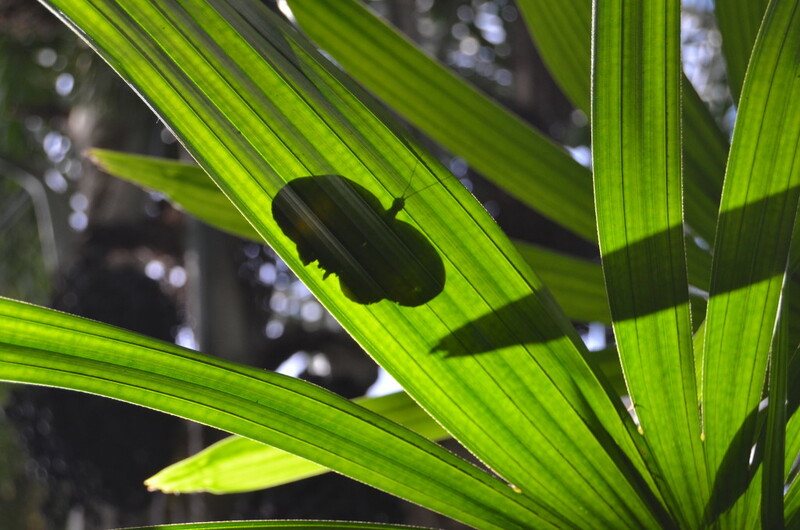 Some of the best place to observe butterflies that have stopped flying for a moment are on large leaves of trees and plants, near the waterfall and stream, by the feeding stations, and on and around flowers. 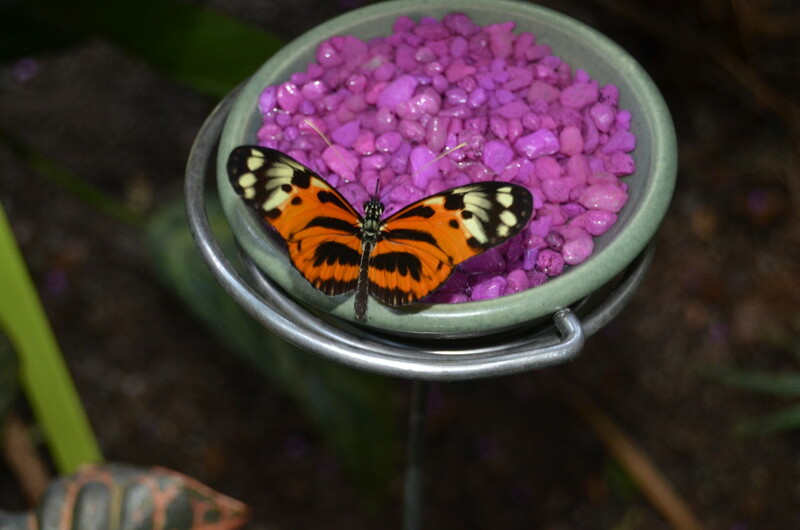 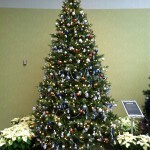 When we visited we found the exhibit to be quite popular with all ages, and incredibly family friendly. 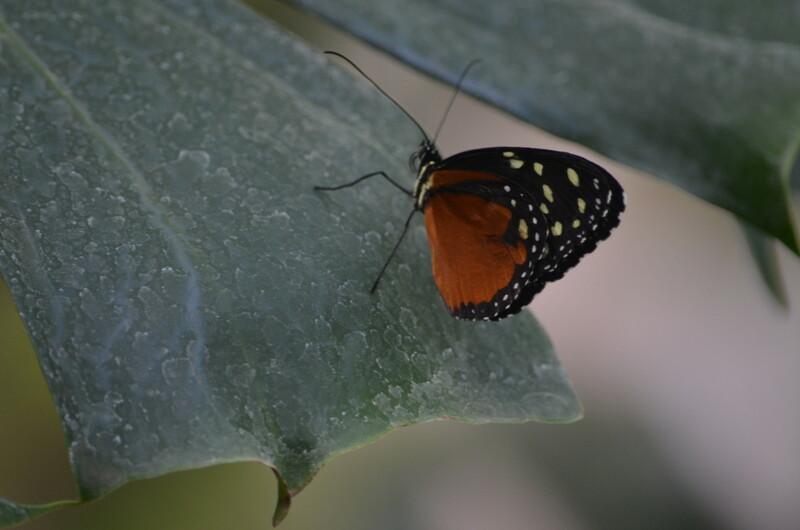 Some enjoy strolling through the observatory, while others choose to sit still and wait for butterflies to come to them. 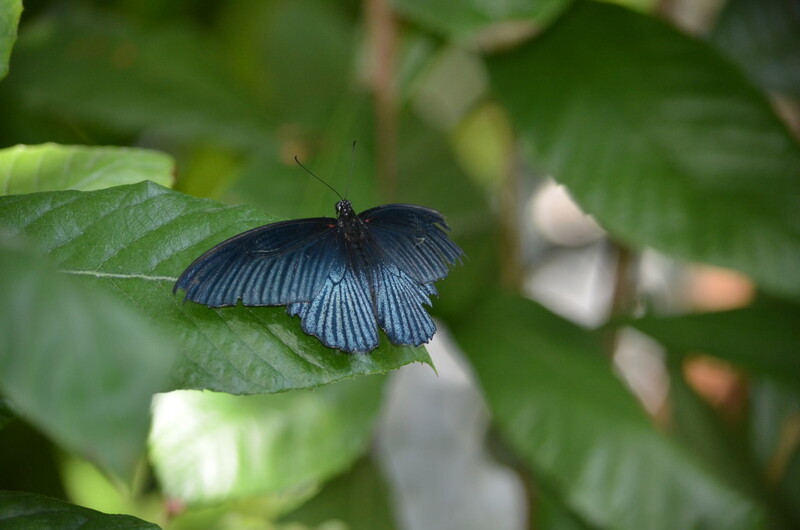 Make sure you have your phone or camera ready in case a butterfly lands on you, but remember not to touch them! 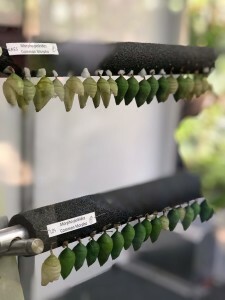 Don’t forget to check out the observation station showing cocoons are new butterflies, and the release pedestal in the observatory where new butterflies are added daily. 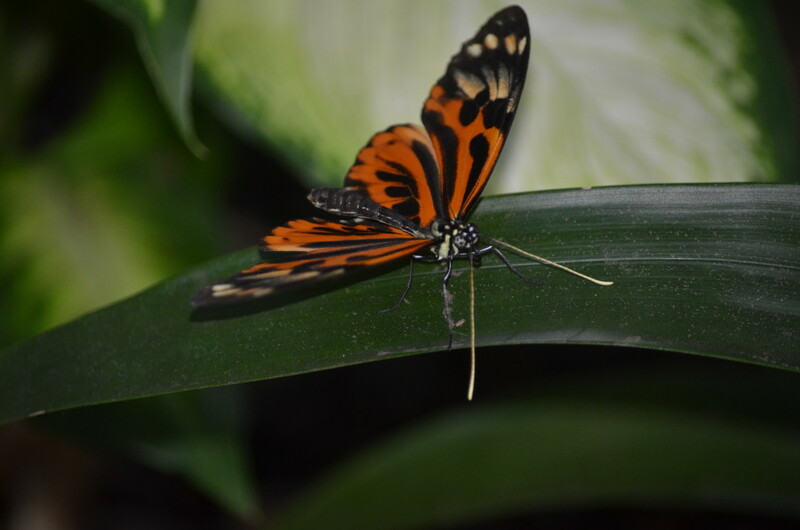 No matter what the weather is like outside when you arrive, keep in mind that is 85 degrees with 70 % humidity inside the butterfly area – it will feel very warm! 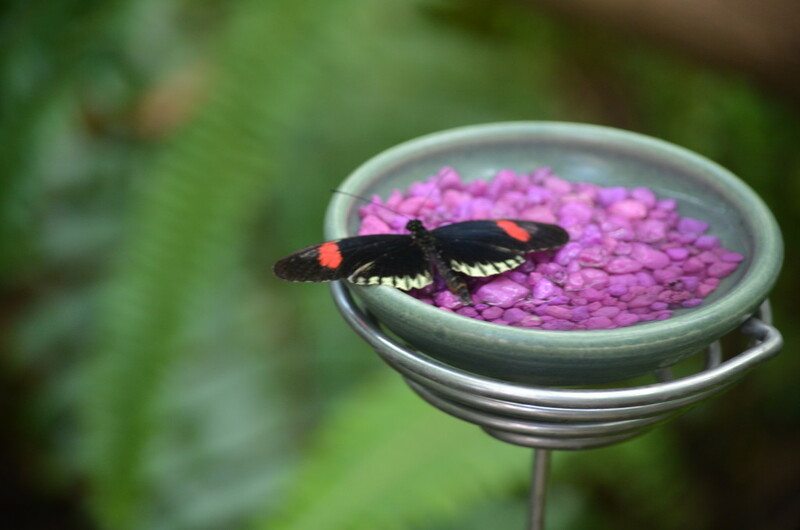 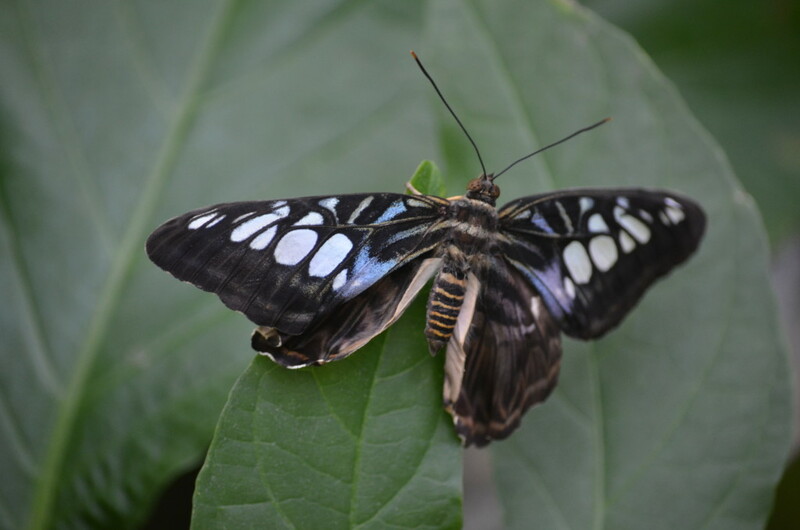 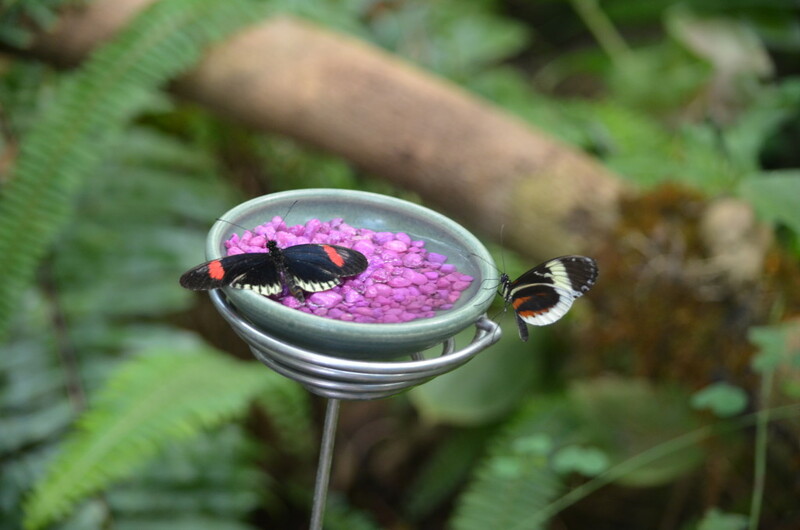 Visiting to see the Butterflies Are Blooming exhibit also provides access to the entire sculpture park, the Lena Meijer Conservatory, the Richard and Helen DeVos Japanese Gardens, the Wege Nature Trail, and the Lena Meijer Children’s Garden. 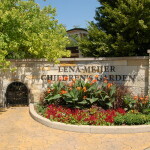 Find out more about hours, admission rates, and the ongoing construction projects that affect parking this year at: https://www.meijergardens.org/plan/#hours-rates. 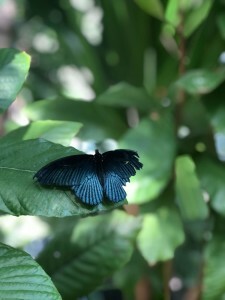 Check out some of our photos of the sculpture park in our Photo Gallery Friday: Frederik Meijer Gardens post.